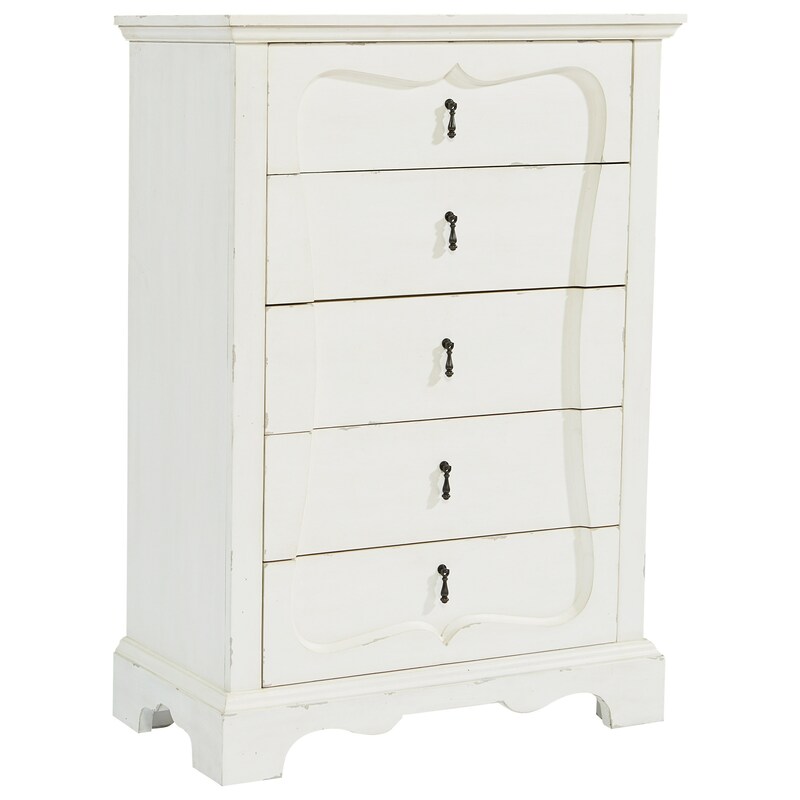 The French Inspired Silhouette Five Drawer Chest - Jo's White by Magnolia Home by Joanna Gaines at Stoney Creek Furniture in the Toronto, Hamilton, Vaughan, Stoney Creek, Ontario area. Product availability may vary. Contact us for the most current availability on this product.